How do buyers in the premium segment approach buying a new car? Most have a brand in mind: Audi, BMW or Mercedes-Benz, perhaps, or even a Lexus or Jaguar if they’re looking for something a bit different. Audi’s growth in recent years should not be underestimated. In 2017, it took 6.9 percent of the market share – up from a tiny 0.7% just 15 years ago. And a lot of that growth can be attributed to brand image. Audi has gone from being the underdog to being the premium brand that people want to be associated with. And, cleverly, it’s rather cashed in on that. There’s now a model for every niche, from the small Q2 crossover to the big A7 coupe – the latter on sale since 2011. The firm says it combines the svelte good looks of a coupe with the space and comfort of a saloon, along with the versatility offered by an estate. Its new model, driven here, made its public debut at the Los Angeles Auto Show in November and is set to go on sale in spring. In building that strong brand image, Audi has been guilty of ‘cut and paste’ design in recent years. But then, if each car it sold was drastically different, people wouldn’t be able to form a clear image of what Audi is and represents. On first impressions, that’s still the case with the new A7. 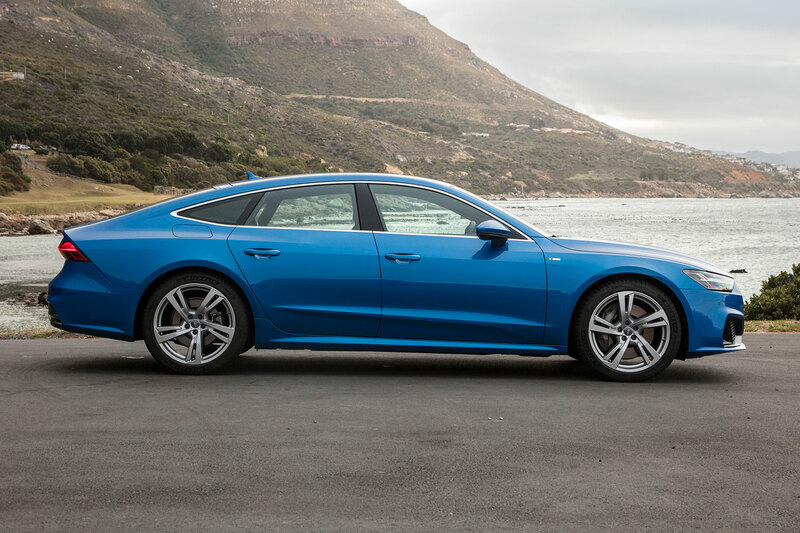 Audi flew us out to Cape Town for its launch (yes, Ingolstadt’s PR budget seems to be recovering after Dieselgate) and, under the the bright blue January skies, the A7 looked pretty generic at first glance. But look closer and a game of ‘spot the difference’ between the old and new becomes easier. At the rear – which is where the alterations are the most obvious – there’s a full-width LED tail-light, which performs swish animations when you lock or unlock the car. A pop-up rear spoiler automatically extends at 74mph, or can be manually raised if you really feel the need. Of course, there are similarities with the latest A8 – not least because they’re both take inspiration from the 2014 Prologue concept car. There’s a huge grille – wider and sitting lower than the A8’s – just to make sure passers-by are absolutely sure you’re driving an Audi. The headlights are narrower than the A8’s, with buyers getting a choice of options, topped by the firm’s flagship matrix LED lights with laser tech. With its long, wide and low stance (it’s actually ever-so-slightly shorter than the old model), the new A7 does the whole ‘aggressive Audi’ thing pretty well. Yes, there is an element of copy and paste, but it’s easy on the eye. And one benefit of choosing the A7 over the A8 is that you won’t look like an upmarket Uber driver. As good as the new A8 is, if it’s as popular with chauffeur drivers as its predecessor, they’ll soon be all over central London. 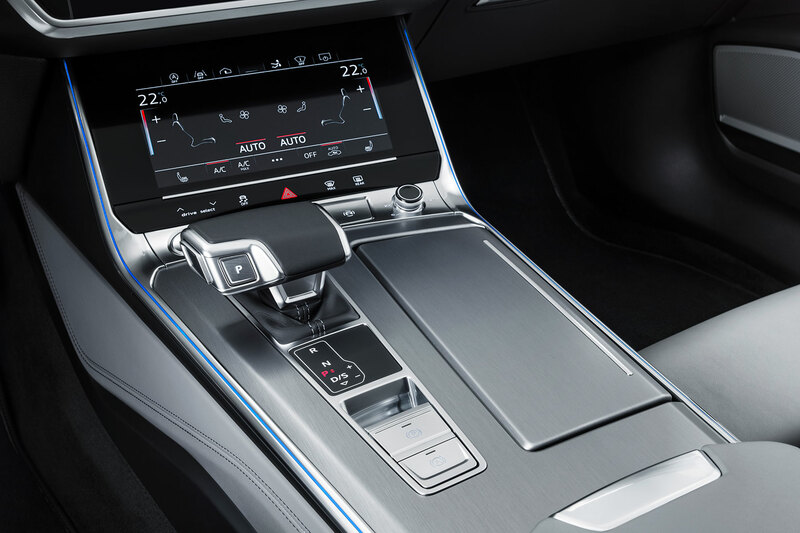 We have high expectations when it comes to Audi interiors, and fortunately the A7’s cabin leaves little to be desired. There’s plenty of space, while the seats are comfortable and it’s easy to find a good driving position. Everything feels very upmarket, of course, and there’s plenty of tech to keep driver and passengers entertained. 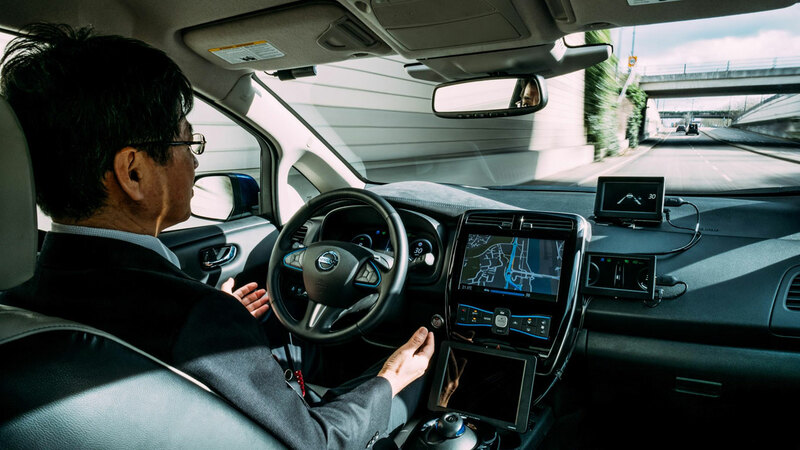 There are no fewer than three digital screens – a 12.3-inch screen replaces the conventional dials behind the steering wheel, while a 10.1-inch screen provides access to the infotainment functions. Meanwhile, an 8.6-inch screen with haptic controls sits below that, housing climate control and various other functions. 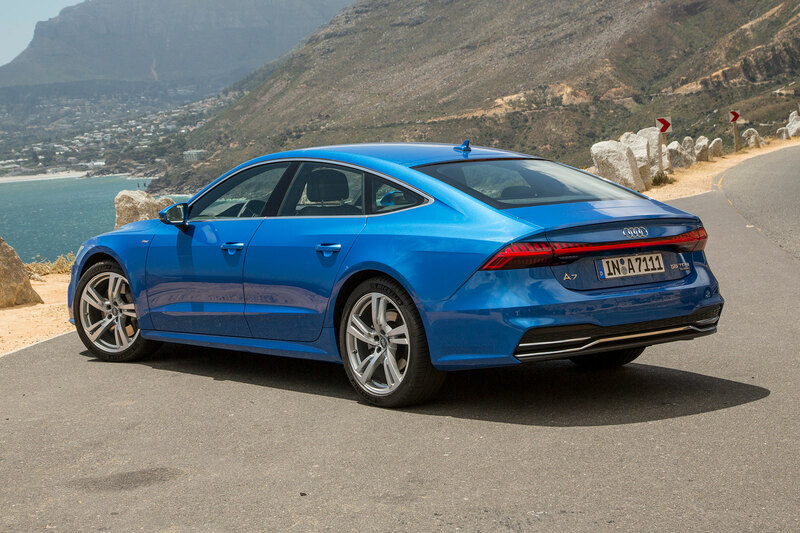 One thing the Audi A7 could be accused of lacking is a slight sense of occasion. Sure, the cabin is extremely upmarket, with lots of expensive-feeling materials. But it’s also rather anodyne. A bit ‘same again’. It does the job very, very well, but it’s all a bit magnolia. If you’re concerned that the A7’s sleek roofline hampers interior space, worry not. There’s plenty of headroom in the rear – more than the outgoing model – while cabin length has been increased by 21mm. Not a massive amount, but we never found legroom an issue in the old A7 either. The A7 will be launched with a 3.0-litre V6 petrol engine badged 55 TFSI under Audi’s new naming strategy and producing 340hp. 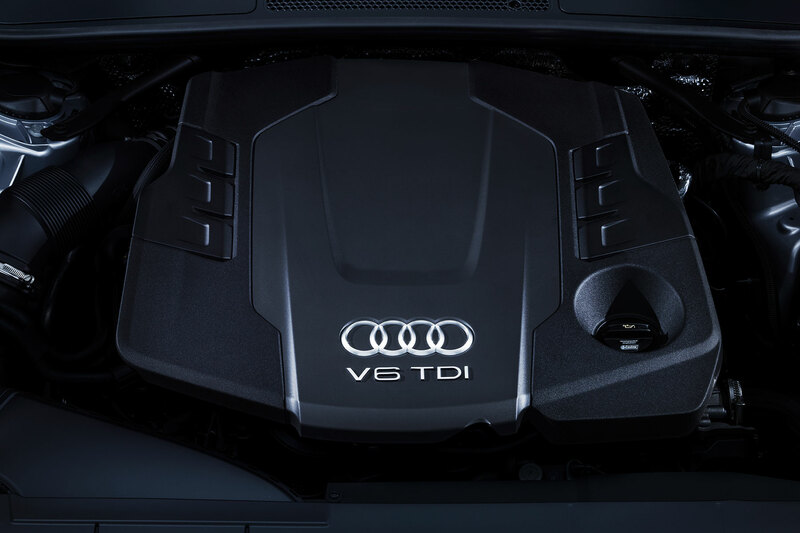 A V6 diesel producing 286hp and badged the 50 TDI will follow shortly after, while further four- and six-cylinder petrol and diesels are expected in the future. We drove both the 55 TFSI and 50 TDI in South Africa, and found them both to be refined and powerful units. The petrol in particularly is extremely hushed – so quiet, in fact, that you can hear the fan for the cooled seats whirring away. Loud fan or extremely quiet engine? We’re not so sure. While there’s a hint of giveaway rumble from the diesel, it doesn’t intrude excessively into the cabin. Like the A8, the A7 is a car that does refinement better than almost anything else on the market. It’s a big car, and cruising along the motorway is where it feels most at home. You’re extremely aware of its dimensions when tackling city streets, but there’s no shortage of tech on hand to help you out. In fact, like the A8, it’s technology that the A7 aces on. Audi says there are no fewer than 39 driver assistance systems available, including adaptive cruise, Audi’s Parking System Plus (featuring a rear-view camera), and a front collision warning system that will apply the brakes if it detects an impending crash. Buyers can even opt for all-wheel steer to help negotiate tight corners around town and improve the handling at higher speeds. Although the A7 is at its best on the motorway, there is one caveat: its steering does seem ever-so-slightly nervous at speed. 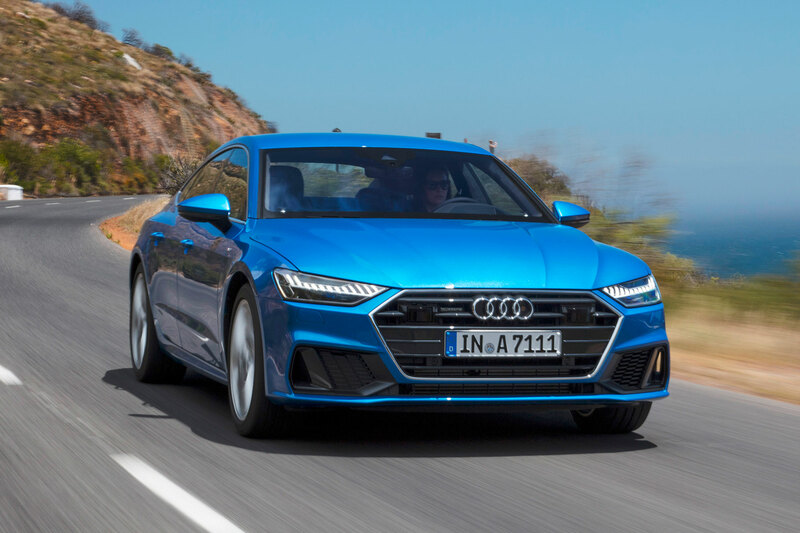 It’s not a major concern, and it might just be because the A7 is intended to be sportier than the A8, but it’s something that we did notice on our early drive in South Africa. 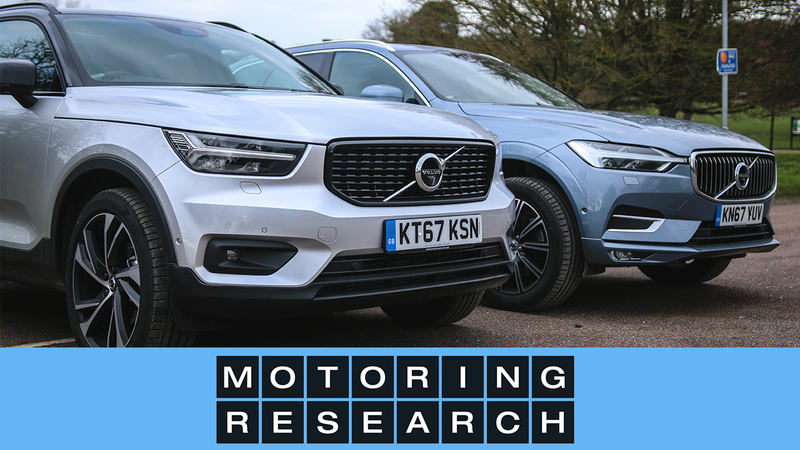 It could also be because of the lane assist system, which nudges the steering wheel if it detects you wandering out of lane, or even the optional all-wheel steer fitted to our test car. 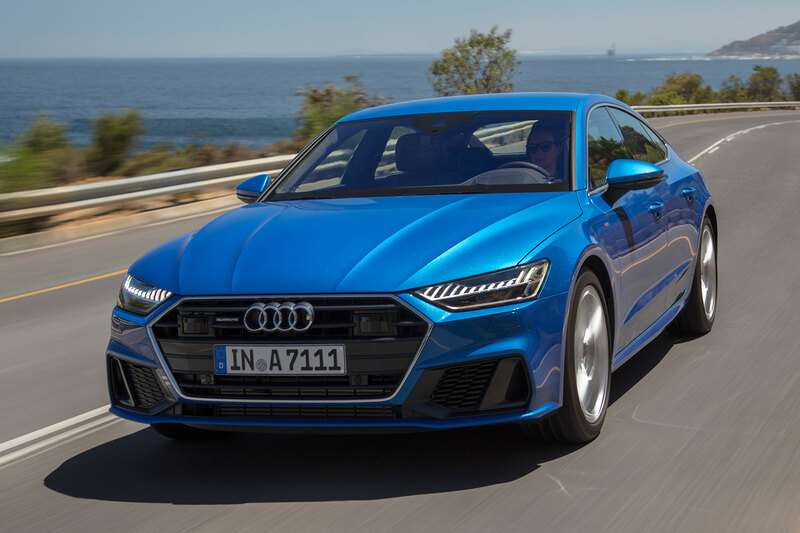 Like the A8, the A7 has been designed to incorporate a mild hybrid drivetrain that allows the V6 engines to shut down entirely at speeds between 34 and 99mph, making the A7 coast in freewheeling mode and channeling electricity into the battery during braking. This goes some way towards explaining the epic refinement – you can barely sense when the engine kicks in and out, apart from the sudden realisation that you’re coasting in near-silence. Curiously, the 50 TDI uses an eight-speed Tiptronic automatic gearbox while the 55 TFSI utilities a seven-speed S Tronic ‘box. Engineers remain coy around the reasons why: we suspect the Tiptronic copes better with the torque provided by the V6 diesel engine. In truth, both gearboxes offer fairly quick and seamless changes. 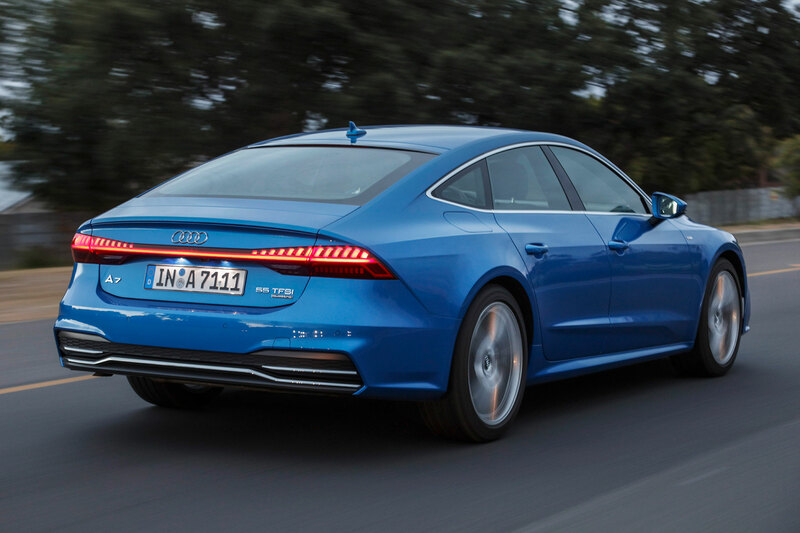 If we were to say the Audi A7 is exactly as we’d expect, that’s not to be taken as criticism. In recent years, Audi’s interiors have been the best in the business, while it has the refined driving experience pretty nailed down, too.